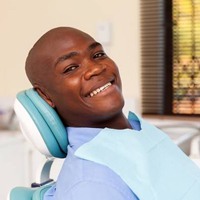 At Bellevue Family & Cosmetic Dentistry, we know that visiting the dentist isn’t every patient’s favorite activity, and when patients hear they need a root canal, even the toughest people may find themselves cringing. Luckily, your Bellevue dental office team is here to set the record straight on root canal therapy. It doesn’t hurt! In fact, it can relieve pain and save a tooth you may otherwise lose. 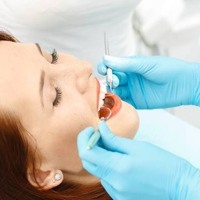 At Bellevue Family & Cosmetic Dentistry, we offer a wide range of treatments to keep patients’ smiles whole and healthy for life, including root canal therapy. If you’re interested in finding out more or scheduling an appointment, call our Bellevue dental office. One of our knowledgeable team members will walk you through at-home care to relieve pain and protect your smile until you reach our office. A root canal is a dental treatment that is necessary when dental damage or decay reaches the very inner layer of the tooth called the pulp. Within this inner-most layer, the tooth’s nerve is housed. When the damage and decay access this nerve tissue, the painful result puts the entire structure and function of the tooth at risk. Root canal therapy allows us to remove and replace this damaged internal tooth structure and restore oral health and function. The root canal treatment process can take several trips to our dental office. During the first appointment, our top priority is ensuring your comfort. 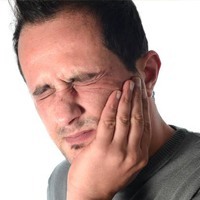 We start by numbing the area around your damaged tooth. Then, we drill from the top of the tooth into the pulp layer. The entire nerve, pulp, and other damaged tissues are all removed. The inside of the tooth is thoroughly cleansed to prevent additional damage or decay. Next, the tooth is refilled with a biocompatible substance. The access hole is resealed with tooth-colored composite. Finally, a dental crown is typically placed to protect and strengthen the tooth to ensure the success of your root canal therapy.